the French historian/writer Maurice Druon. the fourtheenth century, regarding France and England. ENJOY THIS TRAVEL TO THE PAST AND READ BELOW! 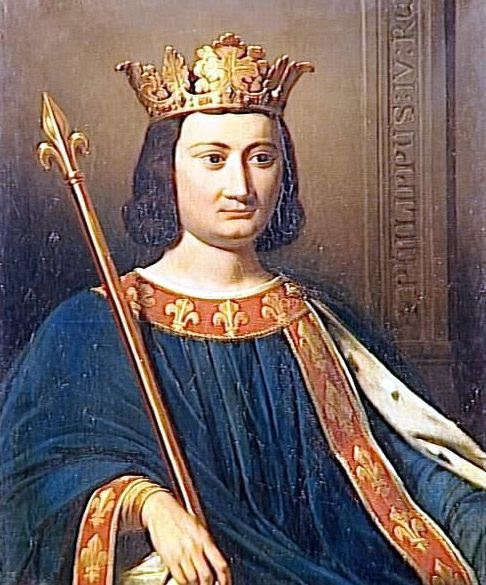 The King, who sparked the Hundred Years War between England and France. the reader of some certain of her points of views. know something of the historical background. 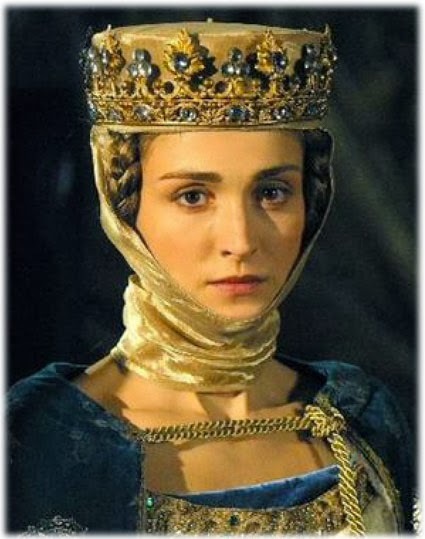 ”Isabella of France” [wife of Edward II]. Below you will see her post [on her website] as my comment. who married her off to the English King Edward II in 1308. Since she was 12 years, probably the marriage was consumated later. a favouritism for men, probably he was gay. loathed his arrogance and influence over the King. who was imprisoned in the Tower and [as one of the few in history] escaped succesfully and fled to France. to her husband [when she was in France] that Despenser shared the Kings bed…..
who would start the Hundred Years War with France. aroused tensions between the two lands. Her son Edward [later III] was with her. brother the King for longer than a year. the King, out of hatred for the Despensers. Despenser was to die a terrible death, the traitors death. His father and many others were executed too. The abdication was in januari 1327.
who were the de facto rulers in England. They however did as the Despensers, enriching themselves shamelessly. the death of Edward’s father. [halfbrother of his father] enough was enough. men of his age, they overwhelmed Mortimer and Isabella. being his mother, was spared, but her political influence was over. But she lived in extreme wealth until 1358.
because of the iron fist with which he ruled France. establising a strong central power. He expelled the Jews and destroyed the Templars. for their part in the prosecution, before burning to death on the stake. The curse of the Templars. light, in which the three wives of the Kings’ sons were involved….. The curse of the Templars? 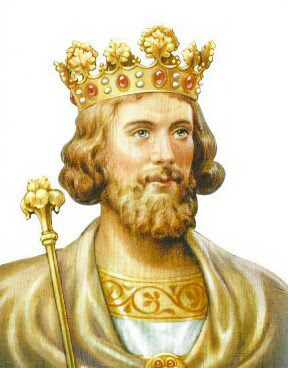 the reign of King Edward II. Reason is, that I saw your comment only today, 6 march 2017, due to some historical investigation. which I appreciate as thrilling, horror like and moving. I want to point out to you clearly. in part 6] and moving. ”I’ll begin with a few things that I did like. Roger Mortimer is the only sympathetic character. I deal with that later. since a great deal of the book involves other subjects. Philip IV, who persecuted them and sent them to the stake. [The Long] and their disastrous end. Tower in chapter 1] and the French-English relations. etc must be described too! a too strict historical view. I was not present and either you…………..
of Maurice Druon about love relations between men. mean, he can’t fight back. no obvious ties in England. So where thus the power lie? makes a horrible marriage convincingly. one not feel pity on the horrible end they met? with liking or feeling pity. pity them, whatever they did in the past. Or don’t feel pity with them, when the tables turned? It is as I have said. I can’t laugh at so much human misery. Because whether it happened like that or not. were horrific, a deep human tragedy and I only can pity them. You are exaggerating here, mrs Warner. So, that were my comments. ”Published as La Louve de France in 1959, English translation 1960.This is the fifth in Maurice Druon’s acclaimed Les Rois Maudits/The Accursed Kings series. The four preceding volumes are: Le Roi de fer/The Iron King, La Reine étranglée/The Strangled Queen, Les Poisons de la couronne/The Poisoned Crown and La Loi des mâles/The Royal Succession. The last two novels in the series are Le Lis et le Lion/The Lily and the Lion and Quand un Roi perd la France/When a King Loses France. The English translations are fairly rare these days, and sell for between about 20 and 40 pounds on Amazon UK, and on Amazon US for between about 25 and 50 dollars. The French originals can be picked up for a euro or less. I’m afraid I really dislike this novel. Really, really dislike it, so Druon fans might wish to stop reading now…. I’ll begin with a few things that I did like. The list of characters at the beginning is very helpful, and I like the system of ‘Historical Notes’ at the end of the novel, even if they’re not always totally accurate (I don’t know why the younger Despenser’s claim to the earldom of Gloucester was ‘fantastic’). As for the characters, I liked seeing the earl of Kent in Gascony in 1324 – normally Kent never appears in Edward II novels until his attempt to rescue his brother the king in 1330, so it’s refreshing to see another side of him here. Also, Roger Mortimer is pretty sympathetic here, which he rarely is in novels. His relationship with Isabella in Paris in 1325 is very nicely portrayed as a genuine love affair. His escape from the Tower proves that he’s resourceful and courageous, and unlike the rest of the English characters, he’s ‘so handsome and so great a lord’ with a ‘strong, confident body’. Mortimer at least has genuine grievances against Edward and Despenser. The rest of the characterisation, at least of the English characters, is just horrible. Edward II himself is so utterly feeble you can only feel contempt. Mortimer is the only remotely sympathetic English character. And the biggest problem I have with the novel is that, despite the title, it’s really not about Isabella at all. It’s a novel about France which happens to include some scenes set in England. OK, it’s a series about French history – but then why call this one ‘The She-Wolf of France’ when Isabella and Edward only appear in a handful of scenes? There are pages and pages on Lombard bankers in Paris. This may be interesting to readers of the whole series – I presume they’re regular characters – but I wanted to read about Isabella and Edward II, not Lombard bankers! Most of the novel is set in France. The death scene of Charles of Valois, Isabella’s uncle, goes on interminably. The only time Edward and Isabella appear together (and one of only four scenes where Edward appears at all) is in the second scene of the novel, after the Prologue and Mortimer’s escape from the Tower. Isabella is sitting on her throne whinging to the French ambassador about her awful life when Edward, the Despensers and some of the English nobles enter the room. Isabella then proceeds to insult Edward, over and over, in front of the whole court. Neither Edward nor Hugh Despenser respond to her insults – they blush, pretend not to hear, change the subject. This is a really bad way of writing fiction: the scene should have crackled with tension, as Edward and Isabella exchange (spoken) blows and witty repartee. As it is, Edward and Despenser seem totally pathetic, no match at all for Isabella. Another bad way of writing fiction – it would make for a much better novel to equalise their opposition, to make us see why Isabella hates them and wants to destroy them. Also, giving Edward the ability to hit back would have given the reader a glimpse into their awful marriage, and possibly lots of other interesting information like the impending war with France. But there’s no insight at all. As it is, the scene just makes Edward even more pathetic, if that’s possible. The French ambassador Bouville thinks that Isabella is ‘brave’ to stand up to the king, but it doesn’t seem so to me – in fact, it seems cruel, like kicking a man who can’t kick back. The narrative claims that Isabella is ‘surrounded by so much hatred’, but we never see this. We only see that all the hatred is coming from her. Druon tells far more than he shows, and what he shows is different from what he tells us. It’s pointless to state in the narrative that Isabella ‘suffers’ when the reader never sees it. All that she seems to ‘suffer’ in this scene is having to put her feet on a threadbare footstool. Well, boo-hoo. It’s also stated that she believes her life to be in danger from the Despensers. When we see the Despensers, however, it’s hard to imagine that they could even find their way to the privy by themselves, never mind plot to have the queen of England murdered. Druon tells us that Edward II is ‘handsome’, a ‘fine-looking man, muscular, lithe and alert’ with an ‘athlete’s constitution’. Yet the details used to describe him make him grotesque. He has pouches beneath his eyes, an ‘uncertain line of the curve of the nostril’, an overly large (but weak, naturally) chin and a spine that ‘curved unpleasantly from the neck to the waist, as if the spine lacked substance’. A deformed back in an athlete? Really? Oh, and his hands are ‘flaccid’ and ‘flutter aimlessly’, he pirouettes, he stamps his foot. Lovely. His friends fare no better. His niece Eleanor (Hugh Despenser’s wife) has ‘that quality of ugliness imprinted by a wicked nature’. 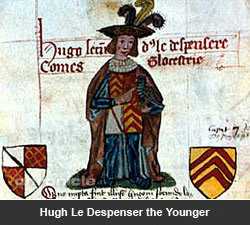 Hugh Despenser (the younger) is ‘too curled, scented and over-dressed for a man of thirty-three’. He is narrow-chested and has a ‘bad, spotty skin’; later in the novel he is ‘wide-hipped and pigeon-breasted’ though Druon does allow him a ‘well-shaped mouth’. Despenser’s father, called ‘the weasel’, apparently, is described thus: ‘cupidity, envy, meanness, self-seeking, deceit, and all the gratifications these vices can procure for their possessor were manifest in the lines of his face and beaneath his red eyelids’. The younger Despenser’s ‘expression seemed to imply: “This time things have really gone too far; we shall have to take stern measures!”‘ I have tried, and failed, to imagine what this expression would look like. Like most of this scene with Edward, Isabella and the Despensers, it makes no sense. And if he’s really the kind of man who would plot to have the queen murdered, shouldn’t his expression be more sinister? I found it utterly impossible to summon up a shred of sympathy or liking for these despicable people. They are ugly and repulsive to the point of being grotesque, yet are not villainous enough to be interesting. My reaction was to recoil from them. At least the elder Despenser dies well. That’s the best thing you can say about any of them. Umm, because he was the king of England and she was the daughter of the king of France, and their marriage was part of an arrangement between the two countries – as Despenser well knew? As Susan Higginbotham points out, Despenser was a pirate. Not to mention a clever, ruthless extortionist who had been ruling England for a few years. Would he really talk and behave like that?? The only line the future Edward III gets in the whole novel is “Oh no, you wicked woman, you shan’t have everything!” (spoken to his cousin Eleanor Despenser about a book she wants). But we do get some stunning insight into his thoughts while watching the younger Despenser’s execution: “Is that really the man my father loved so much?” Superb, really. How convenient. That gets rid of her, doesn’t it? Saves Isabella and Mortimer from having to feel guilty, and Druon from having to deal with the thorny problem of Mortimer’s adultery. This often happens in novels – Joan de Geneville is either ignored, or made so dull and sexless that nobody could ever blame Mortimer for preferring the beautiful, exciting Isabella. Strangely, nobody ever uses this excuse for Edward II. Maybe he found Despenser a lot more exciting than his wife. I don’t mean to tread on anyone’s toes here, and I know Druon has many fans. However, this is a really poor effort, and I haven’t even mentioned the numerous historical inaccuracies (Henry of Lancaster was not called Crouchback – that was his father; Despenser became Edward’s favourite in the years 1318-20, not 1312). 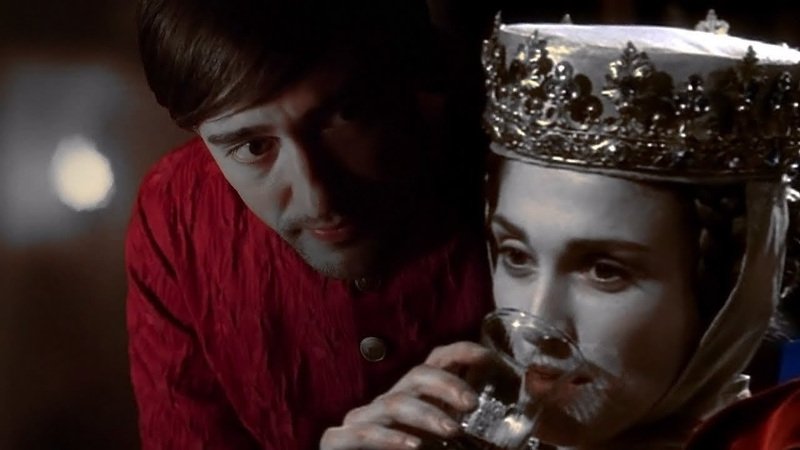 I finished the novel, because I can’t imagine ever not finishing a novel which includes Edward II and Isabella, but everyone here is so despicable I felt like taking a bath after I’d read it. No – make that several baths.